In this week’s episode of The Amazing Race, teams flew from China to Kota Kinabalu, Malaysia. 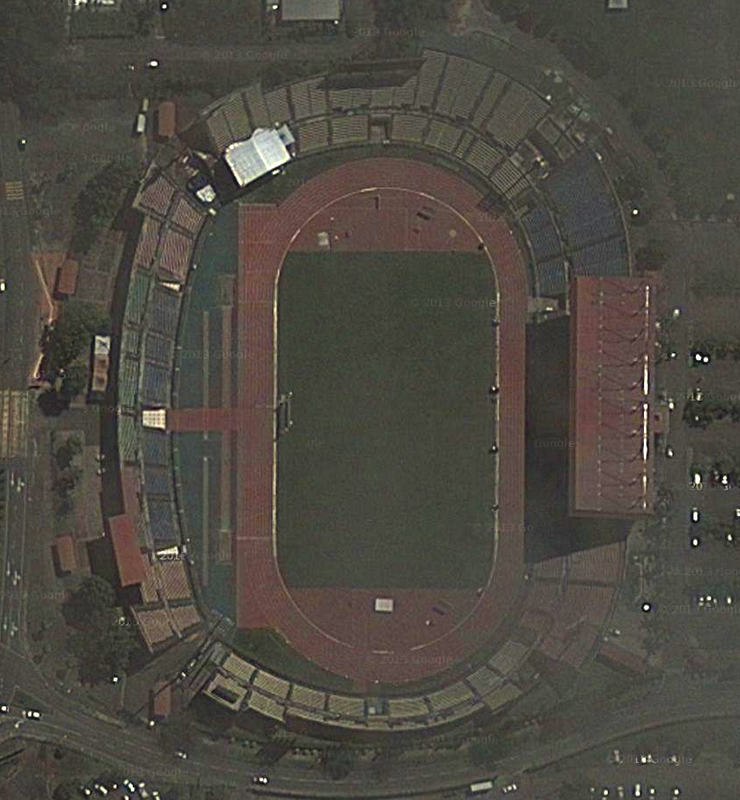 Today’s track is found at the largest stadium in that city, Likas Stadium. It is part of a sports complex, and was completely renovated in 2001. It is one of the largest stadiums in Malaysia, with a seating capacity of 35,000. If you ever run the Borneo International Marathon, you will be starting at finishing inside this stadium. Soccer and rugby games are also played here.